Although I prefer using pocket diapers with baby G, I have been trying some < span="">AIO<> diapers on him lately. I received an AIO diaper from Blissful Booty to review and I really like it. I thought the fit was great. I especially like that I could just toss it in the wash when it gets dirty. There is nothing to pull out or undone to get it ready for the wash. The company also sent me some cloth wipes to review. I like that the wipes are double layered so that I don't have to worry about getting anything icky on my hands while I am cleaning up baby G.
Last but not least, I also received a bottle of concentrated wipe water and a spray bottle to review. I thought the scent of the wipe water was pleasant. I have been using it for over a month now and it does an excellent job of cleaning up baby G during diaper changes. 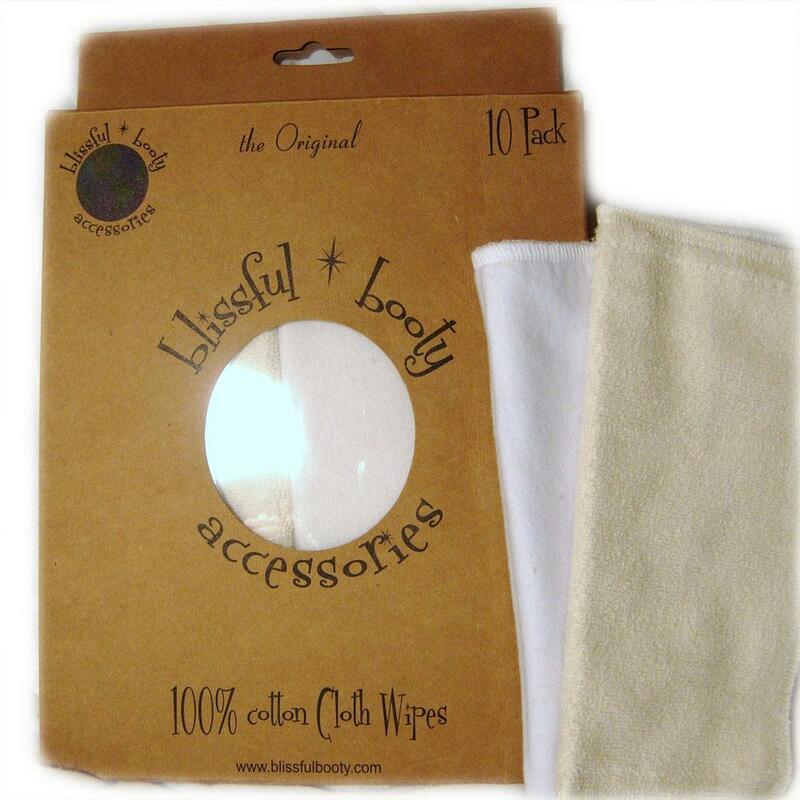 Using the wipe water and the cloth wipes have saved us a lot of money because we don't buy disposable baby wipes any more. Of course, we love that we are not contributing any additional waste to the landfill. To buy the products we receive to review, please visit the Blissful Booty online store. Many thanks to Blissful Booty. The company has generously offered a giveaway prize pack that includes 1 Original or Ultra AIO diaper in winner's choice of size and color with a booster, and a 1 oz size of their wipe water concentrate in winner's choice of scent (US residents only please). 1). Please go to Blissful Booty and then come back to tell me which wipe water scent you would like to try (you MUST be a public follower of my blog to enter this giveaway, and your profile can not be set at private). 2.) Blog about my giveaway- with a link back to here, when you leave the comment make sure you include the URL of where your post of my giveaway is. Please do not copy and paste my review over to your blog, please write about why you would like to win this giveaway and provide a link back to this post. The Contest ends July 19th, 2011 at 11:59pm PST. Blogging about my giveaway earns 2 additional entries. 7.) Tweet about this review and giveaway. Please tweet the following: " I entered to #win #free Blissful Booty Cloth Diaper #Giveaway @sugarpopribbons http://tinyurl.com/SPRRG ". After your tweet, please leave me the url of your tweet so I can check. If you do not know how to check your tweet url, please read this post for step by step instructions. You can retweet once every hour. i would choose the honey vanilla scent. I follow via GFC as Rebecca H. and I would love to try the scent "sweet summertime"
I added you as a friend on FB- Beccy H.
I follow you via GFC and would love the Juicy Berries scent! I commented on your 4th of July post. I commented on your Baby G's 4th month checkup post. I added you as a FB friend. 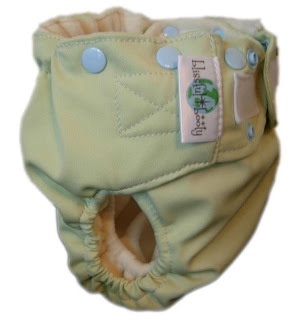 I entered the GoGreen Pocket Diaper giveaway. I entered the Mommy's Touch cloth diaper giveaway. I entered the itti bitti cloth diaper giveaway. I entered the Greenchild Creations giveaway. I entered the Zookies cloth diaper giveaway. I follow you on GFC, and I would like to try the Milk & Honey scent. My email is in my profile! Entered Thomas & Friends DVD giveaway. Entered Barney 123 Learn DVD giveaway. Entered Nick Jr. Dora the Explorer giveaway. Entered Bioken Hair Care giveaway. Entered itti bitti diaper giveaway. Entered When Life Gives You OJ giveaway. Entered Step2 Sand and Water Fun Farm giveaway. Entered Greenchild Creations diaper giveaway. 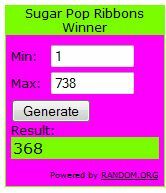 Entered Yoyo Lip Gloss giveaway. Entered Chicken Scratch Baby Sling giveaway. Entered Books that Explore Your Backyard giveaway. Entered Warm Traditions Hot Water Bottle giveaway. Entered Zookies Cloth Diaper Cover giveaway.